Here's your one-stop resource for math practice based on NCTM standards. The books are organized by NCTM content strands: Number and Operations, Algebra, Geometry, Measurement, Data Analysis, and Probability. 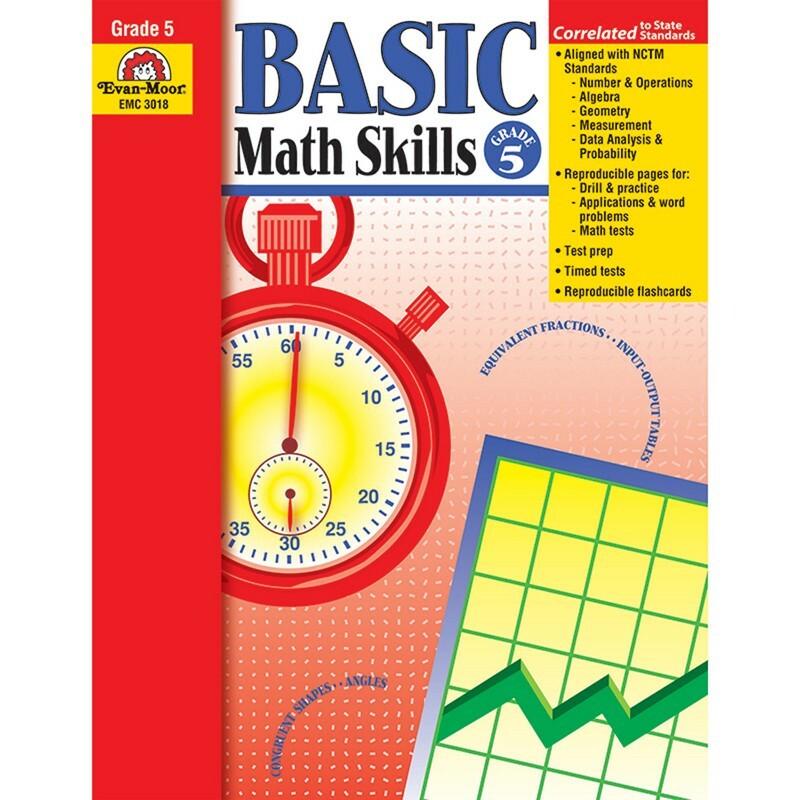 In Basic Math Skills, Grade 5, you'll find just what you need to provide extra skill practice for individual students, small groups, or the whole class. These reproducible pages are perfect for homework too.